The building process and the numerous decisions to be made can be overwhelming for most people. To make the process easier, communication between you and me becomes vitally important. This guide aims to walk you through the building process phase by phase, in order to facilitate clear and organized meetings along the way. Our goal is NOT to inundate you with information, but to provide a structure to focus on the details of each phase without being engulfed by the entire project. Although we will be in continuous communication during the building process, there will come a point where final decisions have to be made to keep the project moving forward. At each of these critical points, we will schedule one or more construction meetings, where we will meet to make decisions that are critical to that phase of construction. In other words, as you look at the outlines of each construction meeting, those are the decisions that will need to be made by that meeting. After a meeting has been completed, you must review the items needed for the upcoming meeting and begin making selections and decisions for those items. You may also refer to the Schedule for Product Selection sheet at the end of this document to help you keep up with the decisions needed. Please feel free to contact us anytime if you have questions or concerns. It is our goal to build you the home you want, in a manner that you makes you feel comfortable along the way. Building a home is a fluid process and there are always items that require input from both the builder and the home owner. Each house is different and each has its own set of circumstances that make it unique. Evermon Homes brings a wealth of experience and knowledge that will help guide you through the process. We look forward to the next few months and are excited that you have given us the opportunity to build not only your home, but to build a relationship that will last long after the bricks are up and the paint is dry. That being said let the building begin! Prior to starting any construction on the lot, we must first have approval from the Architectural Control Committee (ACC) of the subdivision. Typically, we are not allowed to begin land clearing and dirt work prior to ACC approval. However, in some subdivisions, land clearing can begin, and culverts may be placed. Water Meter Tap fee must be paid, unless using a water well. Land owner must sign off on county permit application provided by Evermon Homes, LLC. Exterior veneer material types must be finalized, since the foundation drawings must include brick ledges for brick and natural stone. Soil Analysis must be completed to determine the quality of the soil so that the foundation can be properly engineered. In addition to ACC items, you will need to meet with our design consultant, Lindsey, to review your ideas, work on appliance selections, and begin preliminary layouts for all shop built cabinetry. The early phases of your project will probably seem to go by slowly, since not a lot will be happening at the construction site. Typically, we like to use this time to plan for the upcoming construction phase and to start to get a better feel for your needs and desires for your home. These checkpoint meetings are really more of informational sessions where you tell us the things you want us to know. It helps if you bring any pictures, samples, or sketches of your ideas so that we can get an accurate picture of your design aesthetic. We will also set up times to make some preliminary visits to showrooms so that you have plenty of time to see everything you’d like to see before it is time to make a final decision. Review engineered foundation plan requirements for any additional costs due to changes specified by the engineer. From time to time, due to soil conditions or technical features in your house design, the engineers may specify conditions in the slab design that deviate from standard practices, which may affect the cost of the slab. Additional rebar or the depth and width of the beams are examples of such changes. Window type selections (i.e. aluminum, vinyl, or wood). Each type has a different dimension needed for framing and must be chosen prior to the beginning of framing. Verify locations (i.e. phone and cable jacks, alarm keypads, audio speakers, intercom outlets). Fire alarm sensors locations will be set according to code, but a decision on monitoring must be made at this time. Upon completion of the insulation, we will walk the house in order to address any questions before we start the sheetrock. At this time, we will go over the inspection reports with you so that you are comfortable with any issues that may have been indicated on the inspection report. Also, we will look at each individual plumbing or electrical location to verify that nothing needs to be moved. It’s much cheaper to move it now than after sheet rock! At this point, we are about halfway through the building process, and we start to move out of the construction phases and into the selection phases. For the most part, the main structural items are complete, and now we are addressing the finishing details that will turn your house into a home. Although there will be an installation schedule, it doesn’t usually work out so that you can make all of your selections independently of one another based solely on this schedule. For example, we will complete painting before we need to install tile and countertops, but you will probably want to coordinate all of these items together. 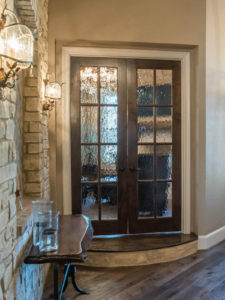 Lindsey will work closely with you to ensure that your selections are made in keeping not only with the installation schedule, but also with the overall look and feel that you desire for your home. Due to the nature of the selections process, you will find that we have fewer checkpoint meetings, but rather several smaller meetings where we are discussing several different aspects of the design at one time, because they are all interrelated. The following phase layouts give you an outline of the installation schedule so that you will know when certain decisions must be finalized, and what to expect next. 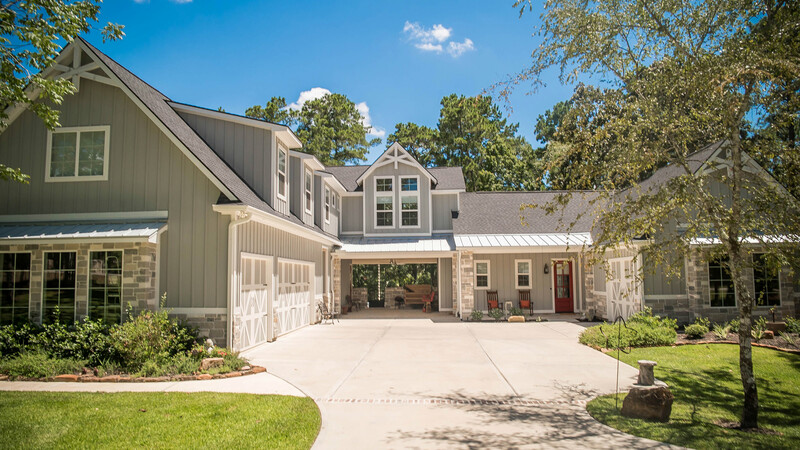 Before the sheetrock can be hung, we will meet at the house so that you can visualize what the inside of the house will look like and make decisions for trim and site-built cabinetry. While the sheetrock is being hung, you can make decisions regarding wall texture. Any rooms that get wallpaper must be designated at this time so we can leave them un-textured. After the sheetrock is hung, the carpenters will install all trim and site-built cabinetry, and we can put paint samples on the walls to finalize paint color. Final paint color selections – we will do some paint samples on the walls after the texture stage has been completed. Painters typically start with the exterior paint, then move to interior staining and trim finishing, and finally the walls and ceilings are painted. The latest these decisions can be made is just prior to the end of painting. At this time, we will be finalizing many of the finish items such as tile, countertops and plumbing fixtures. We will review tile designs for both flooring and wall tile and make final selections. As soon as the cabinets are installed, the countertop fabricators will template and install the countertops. Finally, after countertops are installed, tile backsplash will be installed. Meeting 2 – after you make your selections, the lighting professionals will put together a bid that we will review. After we have reviewed the bid, we will either finalize those selections, or revisit to make any necessary changes. Upon installation of all (or at least most) of the final touch items, this meeting allows us to generate a punch list for the entire home. At this time we will also review the final inspection report and the Energy Star report to include those items in the punch list. Upon creating this list, generally we require one week to get everything acceptable for “Substantial Completion.” This is when we agree that the house is ready for move-in, even if there are a few minor issues that should not be disregarded. Before going to the closing table, it is customary to visit the home again to verify that the punch list items have been resolved and the house has been cleaned.